Buy Real Marketing | How Can I Increase YouTube Views? You can increase YouTube views for your videos by implementing the right tricks and tactics. However, if you just can’t seem to improve the metrics significantly, it can mean you’re employing the wrong techniques. Optimizing your video for SEO means including your keywords in its title, description, and tags. Regardless, YouTube is known as the second largest search engine; it only makes sense to optimize your video to help your viewers find them quickly. Get into their minds and perceive what keywords they’ll most likely use when looking for your videos. It’s no longer a secret that social media sites are one of the main contributors to increase views. By sharing your videos on your social media accounts such as Facebook, you can boost YouTube views exponentially. Chances are your videos might even go viral provided that you create a viral-worthy content. Most of YouTube users prefer videos that feature engaging content in high definition. Nowadays, creating poor quality content just won’t make it. People will immediately abandon that video even after the first few seconds of seeing it. Also, you need to remember that your content should encourage interaction among your viewers. Communication can either be in the form of Likes, Comments, or Shares. Regarding interaction, the likes and shares you get from your viewers aren’t enough. You also need to interact with them by responding to their comments, mainly when they ask questions. Also, you can attract potential subscribers by associating on other channels under your niche. For example, if your videos are about gaming, you should interact with other gaming channels. Once people start subscribing to your channel, they can follow you and easily see any future content you post. Means you’ll have a regular stream of views from your subscribers alone. For such reason, you need to provide value from your videos and leave a message at the end that encourages your viewers to click the Subscribe button. It’s not that easy to increase YouTube views. The process will take time before you see significant results. By following the abovementioned tips, you can slowly start your way towards a successful YouTube marketing campaign. 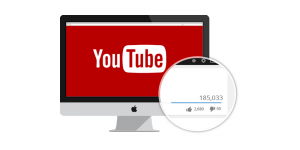 ← What Are the Benefits of YouTube Views?